In the United Kingdom, energy secretary Ed Davey is pushing for all power companies to put up a QR code on all energy bills. This move is in line with the government's push to make energy pricing more transparent so that people could go for the best deals available to them. These QR codes will help consumers know just how much electricity and gas they are using. It will also help them shop for the best-priced sources. The QR codes are there for easier ways to compare shops. There are also other reasons why QR codes are showing up on bills. For instance, National Australia Bank's credit card statements now have a QR code on them, and there are several services, like Billtrust, that help billers include a QR code on their invoices. 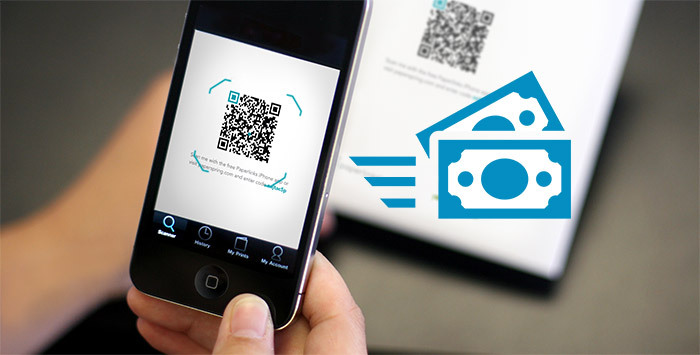 If you own a business, you could also put a QR code on your invoices as well. This can help you ensure that your customers are clear about what they are paying for. 1. Provide customers with details on what they are being charged for. An invoice can have very limited space so you cannot list down all the particulars and details in it. You can use a QR code to allow your customers to see these details and other supporting documents, if they should need it. 2. Provide loyal customers with deals and discounts. If you have loyal customers, you might want to use a QR code and have them scan these as part of a loyalty and rewards program. When they scan the QR codes, they are taken to a Web site that logs a particular number that would give them a point. Certain amount of points would earn them a free item, a big discount or a great deal. You can also use these QR codes to give them discount coupons that they could use when they pay. 3. Allow them to pay you instantly. You can use a payment service that allows you to collect payments via mobile phones and other devices. For example, you could include a PayPal link behind a QR code so that when they scan the code, they will be prompted to pay using their bank account details via PayPal. This way, you can be sure that the customers will not have the chance to forget about paying you. Also, they will have a very easy way to do so. They no longer have to go to the office or send you a check; they only have to scan a QR code. This will help you speed up collections as well. 4. Show them their usage history. Much like what the UK government is doing, you can give your customers a look at their usage history for the current month and the previous months. This will help them view their usage and alert them if there are significant changes to their consumption or usage. Are there any other value-added services that you could offer by including a QR code on your statements or invoices? Tell us all about it!